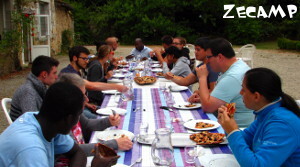 Accueil du site > Teammates > Sharing my experience at ZeCamp in France ? 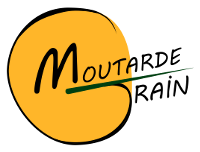 Are you a native English speaker, who wants to share your faith in Christ with French people ? 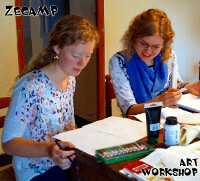 Join us at ZeCamp ! and a lot of fun !!! Our Christian camp seeks to create a focus on giving a fun environment that allows for social, physical and spiritual development for each and every camper that attends during the summer. 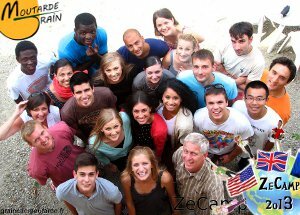 Live with French people sharing your life & culture during this one-week English Camp in the French countryside. You will arrive in Paris, then we will organize your travel from Paris to Zecamp’s location. If you want to stay longer in France, we can help you arrange your travel plans if you need help. 08.30 Wake Up : The sound of a bugle, bell or horn as your alarm clock will quickly become a ‘normal’ part of your daily routine and you then have the unenviable task of waking your campers. 09.00 Breakfast : You will find sweet and savoury, crunchy and sloppy, toasted and chilled. There’s every kind of food available and many of it will be a little strange ; waffles, syrup and sausages ? You will also have continental breakfasts !! 11.50 Free time : This is a good chance for you to spend some time getting to know other people. This time as it is a great chance for you to get to know the campers you’re living with. 12.15 Lunch : Already ? More food…and likely singing Food…singing…food…singing. That’s lunch time. 13.00 Rest Hour : It will soon become apparent to you that rest hour is among the greatest ideas established at summer camp. The combination of the early start, the hectic morning and the belly full of food may put you in the mood for an afternoon rest. 14.00 Second Activity Period : Rest hour over and back to activities. Activity specialists are back to teaching in their activity areas. 19.30 Dinner : You guessed it…more food and more singing. You’ll quickly come to realise that campers need just three things to have an amazing time, fun activities, food and an opportunity to sing. It’s a good job camp has an abundance of each. 20.30 Evening activity : Evening activities are great fun and a an opportunity for everyone to get to know each other. Campers and counselors alike can integrate with people. Evening activities range from themed dances, all-camp competitions, campfires, and talent shows. The list goes on and on. 23.00 Lights out : Time to Sleep. And you’re gonna need it. 23.15 Free Time : You can stay in the living room or outside in the garden to speak with other young adult !